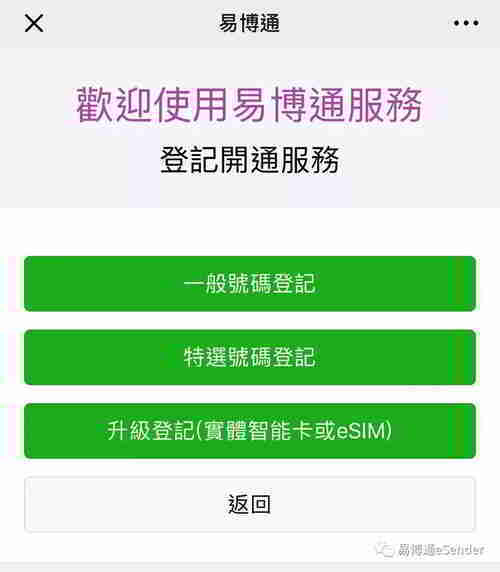 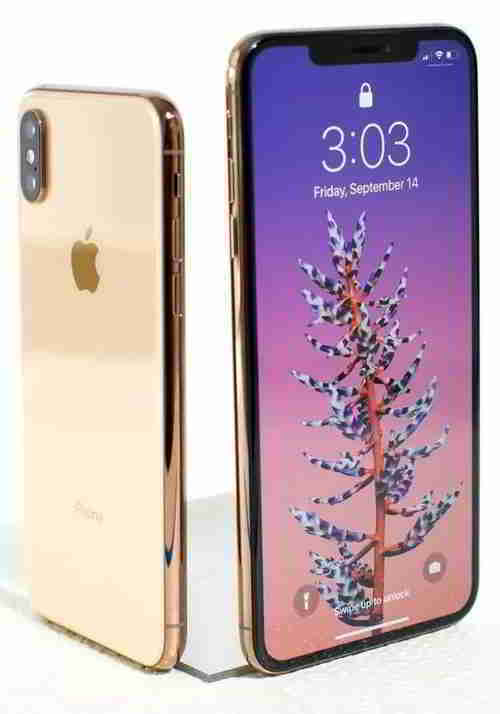 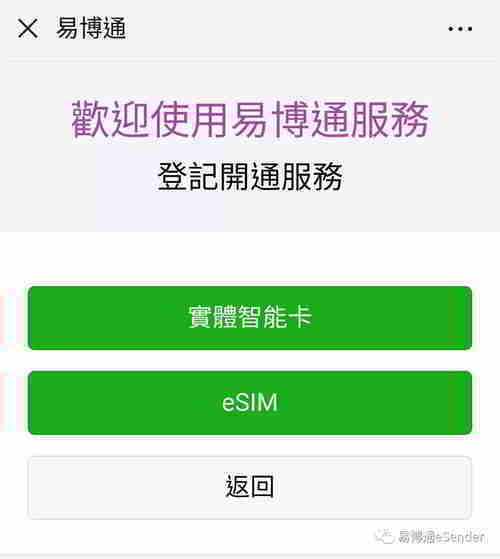 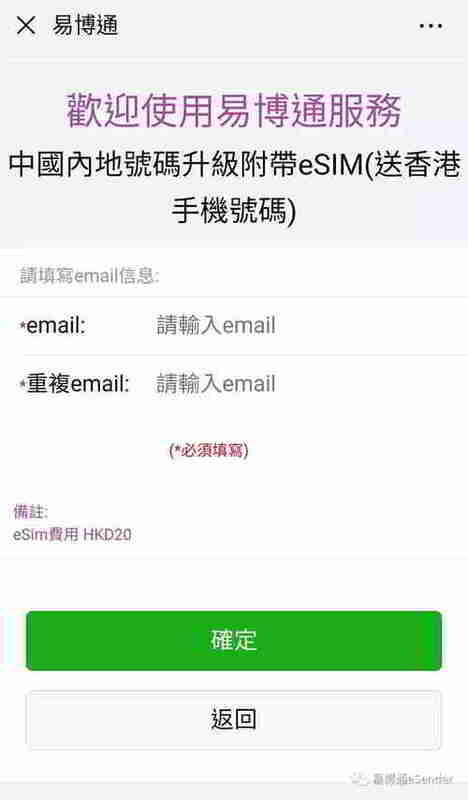 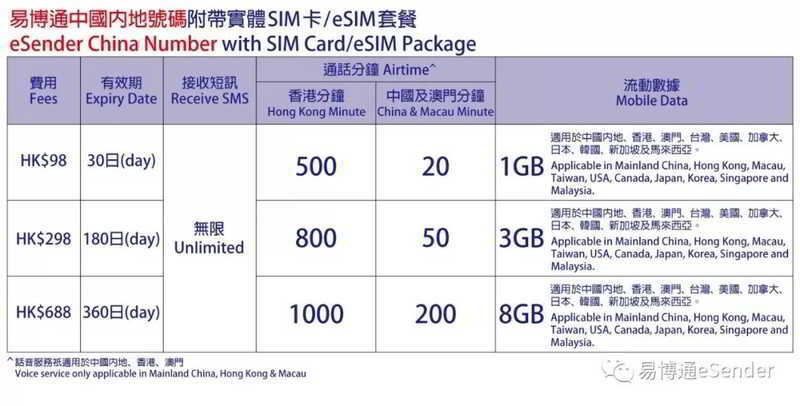 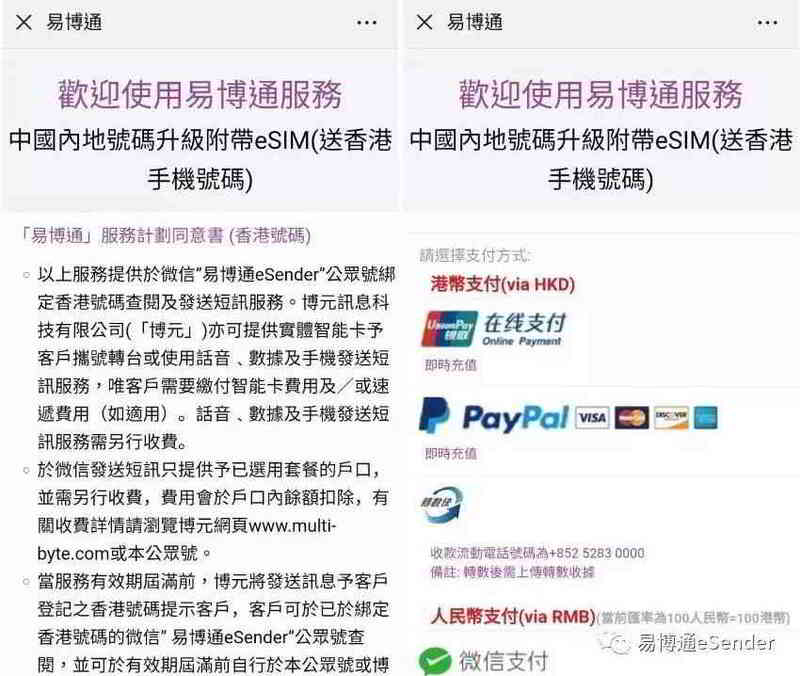 eSIM, for Mainland China Number and HK Number, is launched in eSender. 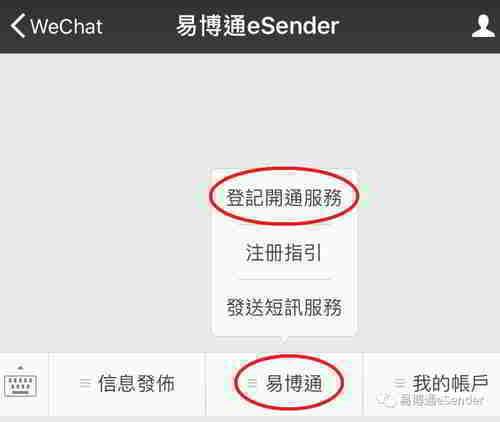 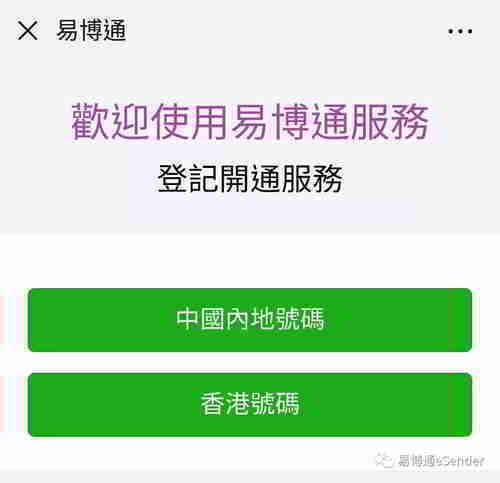 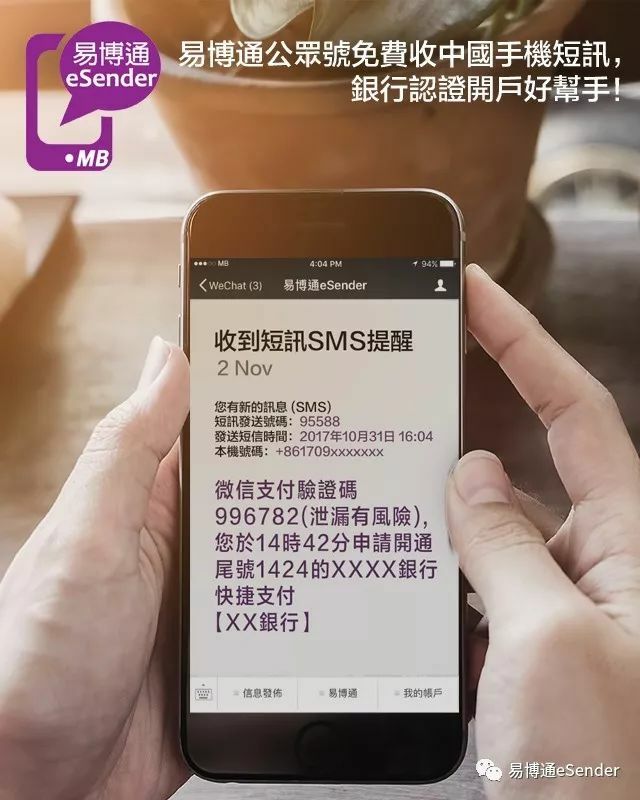 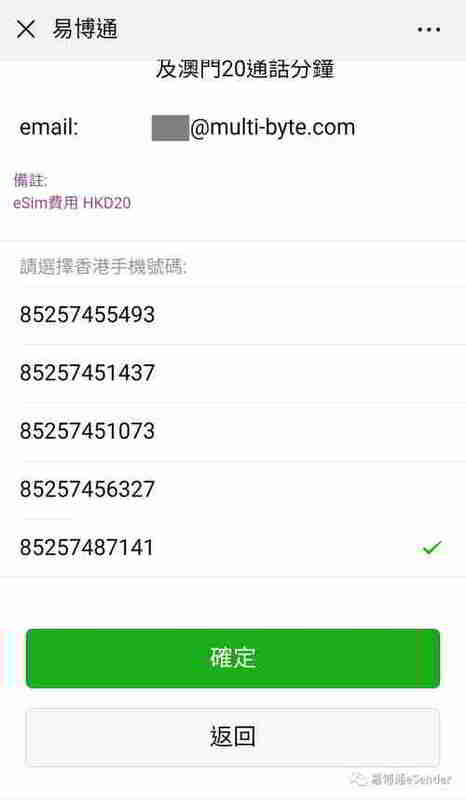 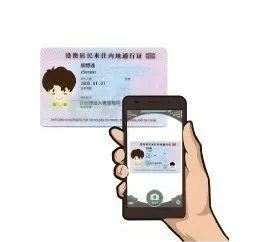 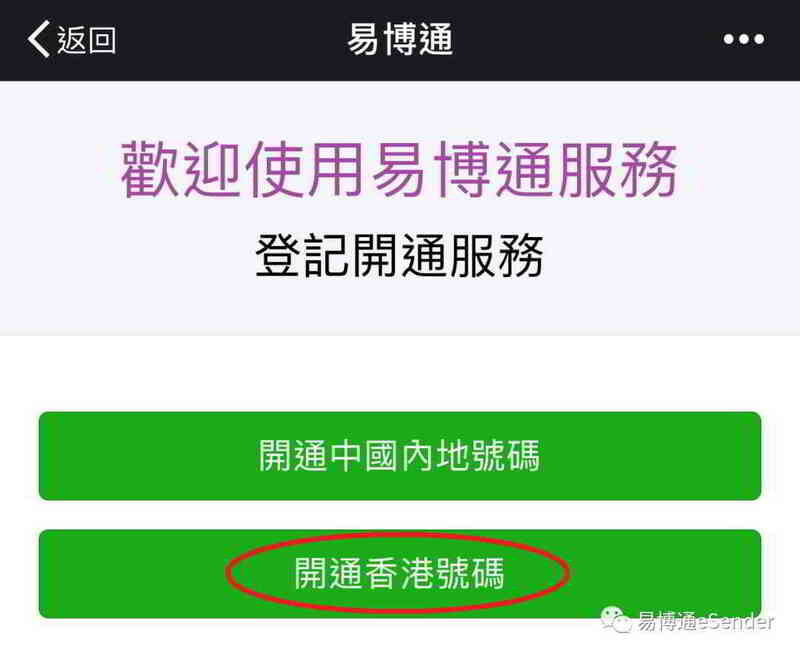 The SMS of Mainland China Number and HK Number will be sent to eSender WeChat official account, as well as the SIM card/eSIM, concurrently. 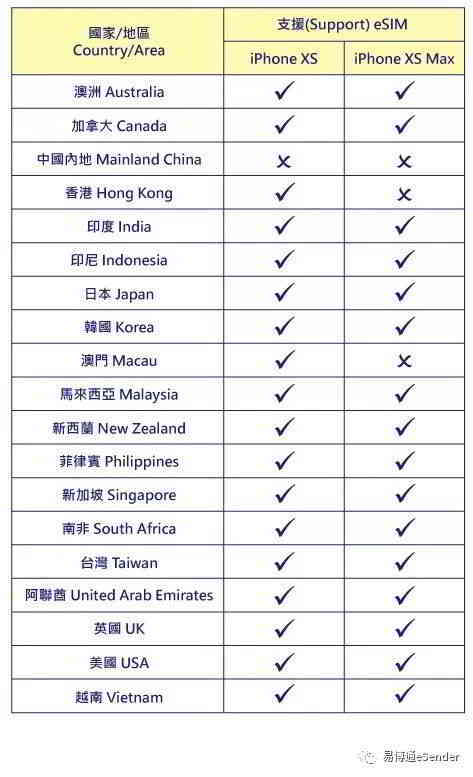 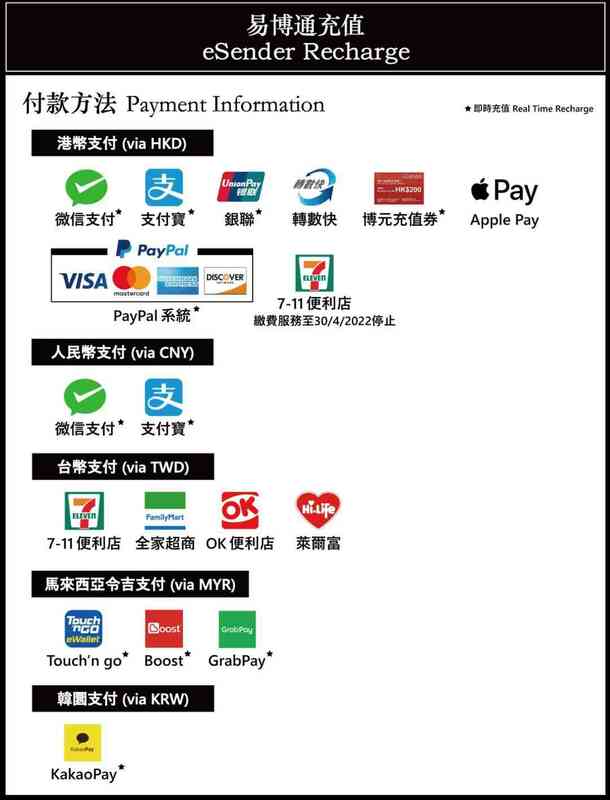 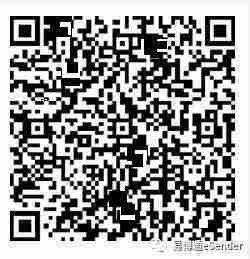 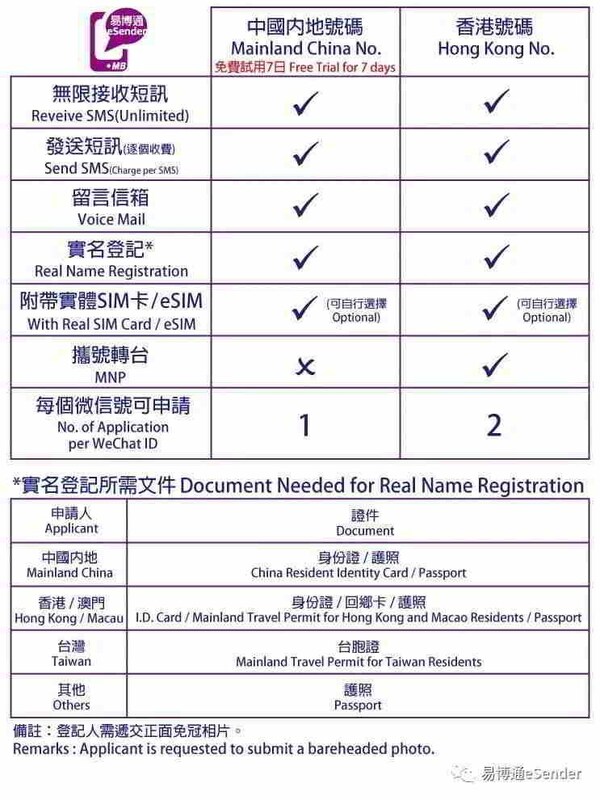 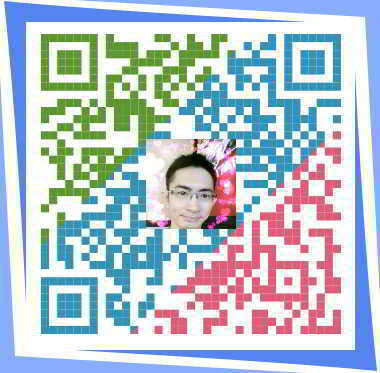 Voice serivice applicable in Mainland China, Hong Kong & Macau. 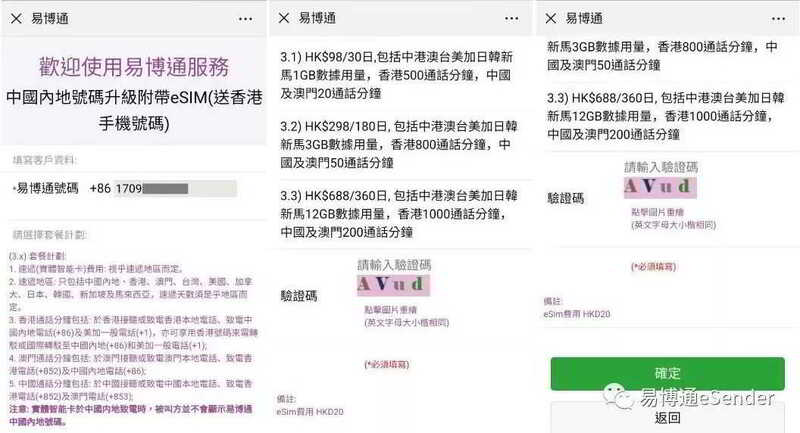 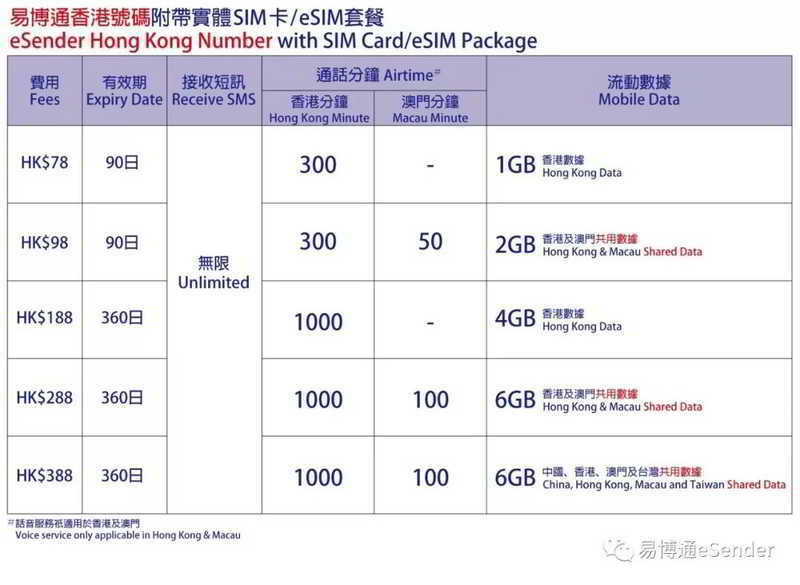 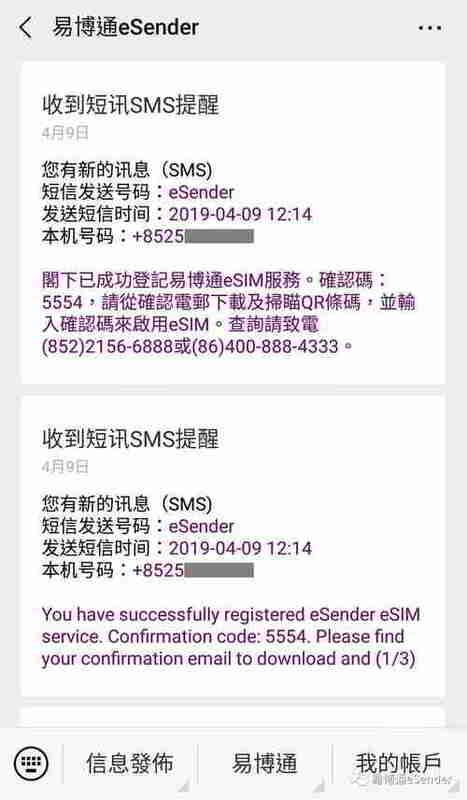 From now to 16 April 2019, register $688/360 day Package of Mainland China Number, EXTRA 4GB data usage will be offered.